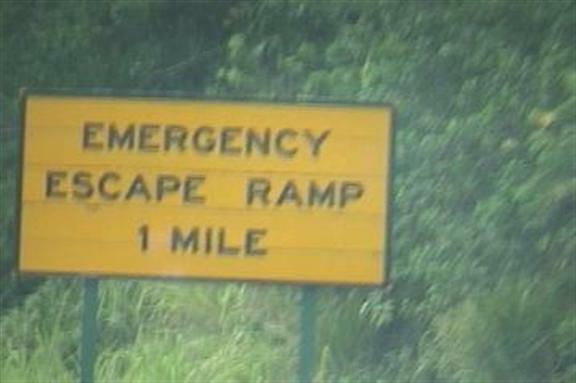 Emergency Escape Ramp? Oh, you mean like a runaway truck ramp? Why is it so hard for signmakers to follow standardized language? You wouldn't put "HALT" on a stop sign, so just make up names as you go along with other types of signs?